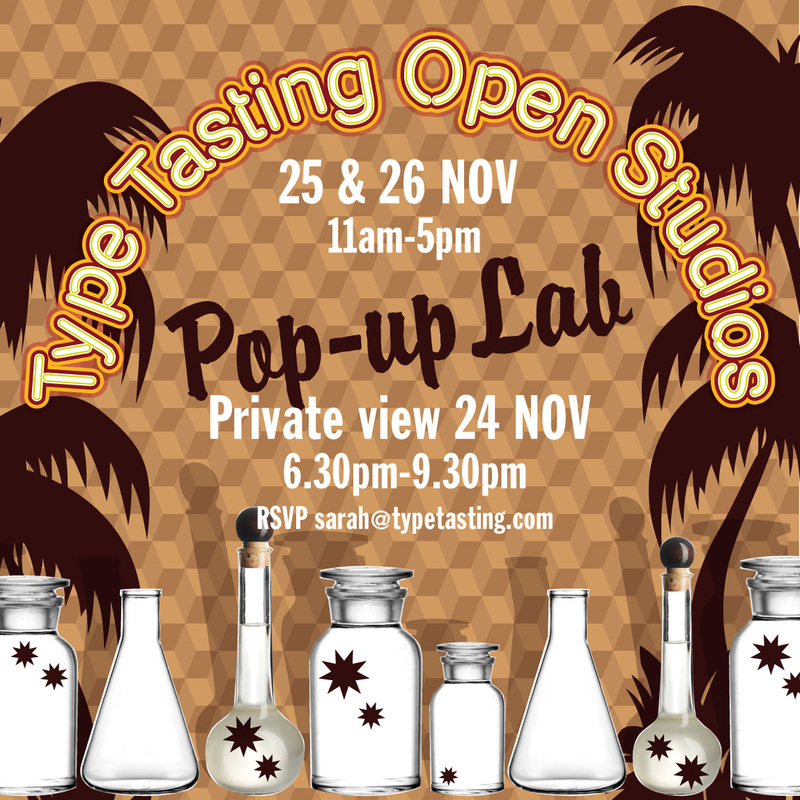 You are invited to our Type Tasting Christmas Open Studios Weekend on 25th & 26th November from 11am-5pm. The Chocolate Factory N16, Farleigh Place (off Farleigh Road), London N16 7SX. There will be something experimental taking place in the Pop-up Lab. The studio will be full of all things typography—to look at and to buy. Including signed copies of Sarah’s books, limited edition screen prints, and letters to hang on your Christmas tree. Chat to Sarah about an event or workshop for your organisation, either as a Christmas jolly or some teambuilding inspiration to see in the New Year. This year she has created Type Tastings for adidas, British Academy, Bumble Bizz, D&AD, The Fragrance Forum, Monotype at Design Thinkers Toronto, the V&A for the London Design Festival, Wellcome Collection, and WGSN.